Happy Friday Friends! Today I am excited to share with you a little DIY project that I added to McKenzie's Room last minute before The Big Reveal! 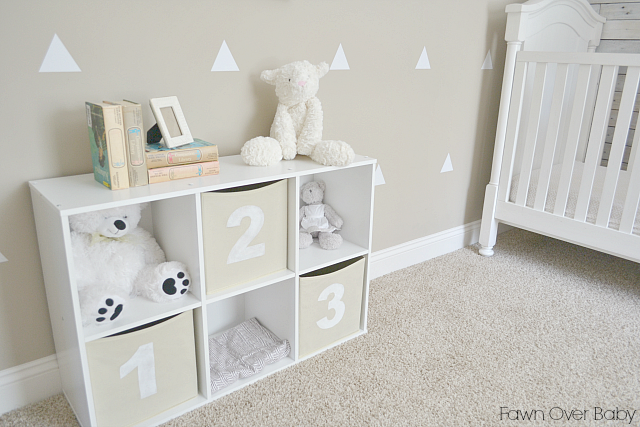 It's a pretty simple project yet adds fun and whimsy to her room. 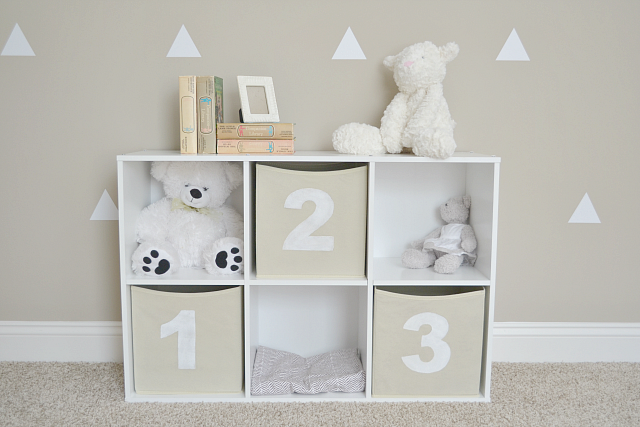 After constantly seeing those adorable number storage bins in so many nurseries and kid's playrooms, I just had to add them to McKenzie's space too. 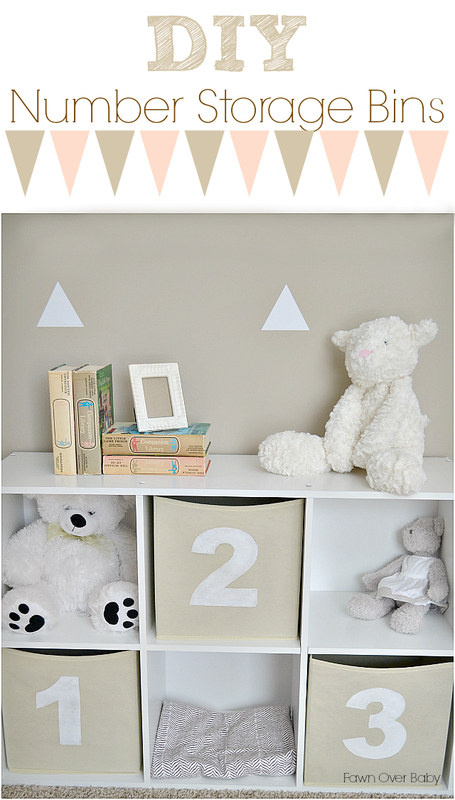 I came across these little cuties several times on Land Of Nod and each time I was so close to buying them. However after I loaded my cart with three and then added up the cost of shipping and handling and taxes, I just couldn't bring myself to checkout, so I opted to try my hand at them. Once I came up with a game plan and found a close enough font, it literally took me 10 minutes to create each one. I am so happy with how they turned out and at 5.99 each + paint cost, you can't beat the price! So, with out further ado, here is my short and sweet tutorial on how to make your own "Number Storage Bins"! Center & tape down outer edges of template to keep in place. 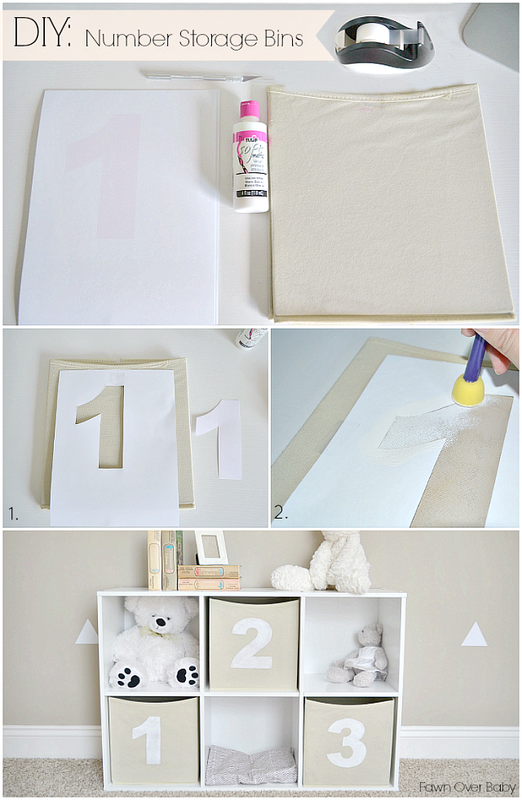 Dab a light layer of white fabric paint onto canvas around all the edges of the the number to avoid bleeding. Then heavily dab the center, coating canvas evenly. Let Dry and Voila!! Your Number Storage Bin is Complete! Repeat steps using as many numbers as you wish! I just love your tutorials! Thank you Christina! You're the sweetest!